The Israeli Occupation Forces (IOF) carried out at dawn Wednesday a large-scale arrest campaign in the West Bank. 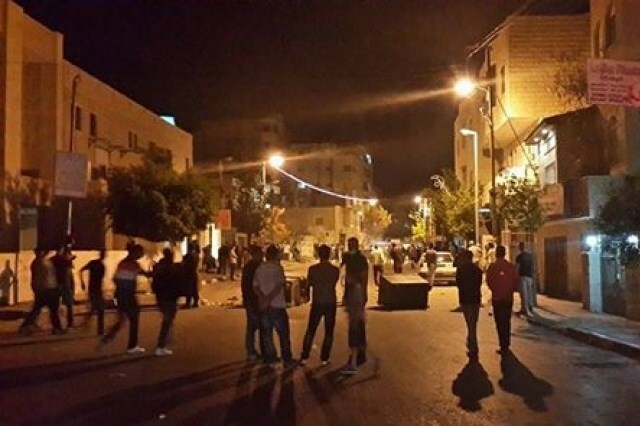 12 arrests were reported in Bethlehem, while two others were reported in al-Khalil. Local sources said that Israeli forces arrested 12 Palestinian minors in Tekoa town in Bethlehem after violently breaking into and searching their families’ homes. A state of panic prevailed among the families during the searches. In al-Khalil, IOF soldiers arrested a university student and ex-detainee at dawn today after raiding his home in Sa’ir town. He was released a month ago from PA jails after spending nearly a year behind bars. A second detainee was reported in Samu town to the south of the city after Israeli forces stormed the town. The detainee was taken handcuffed to an unknown destination. Eyewitnesses confirmed that Israeli soldiers were deployed in large numbers throughout the town’s neighborhoods since the early morning hours and erected a makeshift checkpoint at its entrance. In their turn, PA security forces arrested a university student in al-Khalil. The Israeli occupation authorities ordered the administrative detention of Akram Fasisi for five months only three months after his release from administrative detention. Fasisi was one of the prisoners who went on hunger strike for 70 days demanding their release from administrative detention, without trial or charge. He ended his strike in March 2014 after the Israeli prison service agreed to put an end to his detention, and he was released in August. However, he was arrested anew on 25/11/2014. Fasisi has served four years en aggregate in Israeli prisons most of which as an administrative detainee. The Palestinian prisoner Muammar Guadreh, from Jenin, continued his hunger strike for the eighth consecutive day protesting his re-arrest after being released in Wafa al-Ahrar swap deal in 2011. Head of Ahrar Center for Prisoners Studies Fuad al-Khuffash told the Palestinian Information Center (PIC) that Guadreh went on hunger strike eight days ago protesting his re-arrest and Israeli threats to re-impose his previous sentence. Guadreh informed Eshel prison administration that he is determined to continue his hunger strike till his release, al-Khuffash added. He pointed out that 60 Palestinian ex-prisoners who have been released in Wafa al-Ahrar swap deal are currently held in Israeli jails facing Israeli threats to re-impose their previous sentences. Sentences of 16 ex-detainees were already re-imposed, he noted. Al-Khuffash called for re-activating the detained ex-prisoners’ issue on the local and international levels and to support Guadreh’s hunger strike. Early last week, Guadreh’s wife was arrested for two days during her visit to her husband in Eshel prison. Along the same line, the sick prisoner Hussein Sawa’da was taken out of the intensive care unit after undergoing cardiac catheterization procedure three days ago. 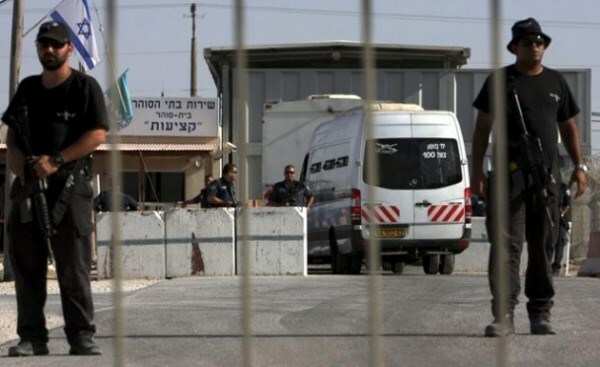 The Palestinian Prisoner Society (PPS) said that the sick prisoner will remain in Soroka hospital till Thursday before being transferred to Ramle prison hospital. Sawa’da still suffers from a neck tumor as it is not yet removed, the PPS added. The sick prisoner, who served 12 years of his 14-year sentence, suffered a heart attack a few days ago. 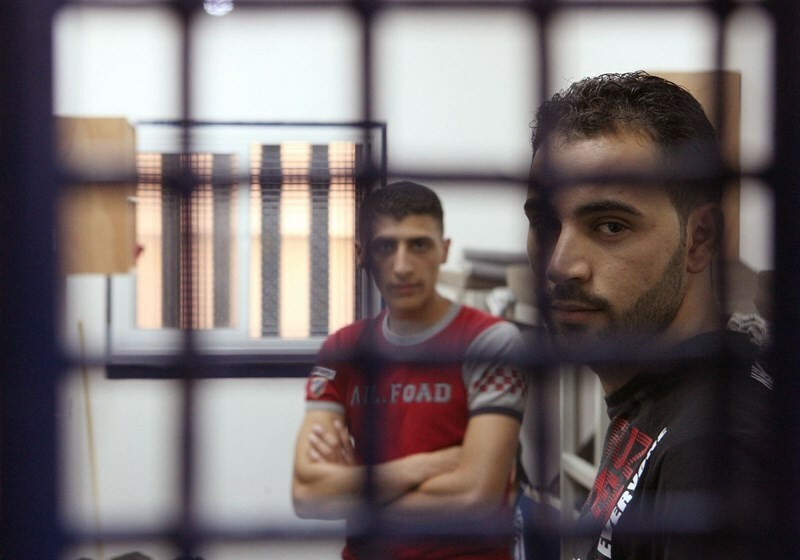 The Geneva-based Arab Group for Development and National Empowerment (Tamkeen) called on international and human rights institutions to take up their responsibilities vis-à-vis the disabled Palestinian prisoners and push for an end to Israel’s anti-humanitarian mistreatment of them. The group voiced deep concern over the fate of dozens of Palestinian prisoners with disabilities and special needs, many among whom suffer from paralysis, psycho-physical disabilities, and sensory impairments due to medical neglect in the Israeli occupation jails. Tamkeen issued its statement on Wednesday, December 3, to mark the International Day of Disabled Persons, proclaimed in 1992 by the United Nations, to smooth socio-economic, political, and cultural integration and raise awareness of the needs and concerns of this social class. The statement spoke out against the dire detention conditions and tactics of psycho-physical torture to which handicapped persons have been subjected to at the hands of the Israeli occupation wardens. The group further pointed to the acute shortages in medical equipment, including artificial limbs for amputees, eyeglasses, wheelchairs, walking aids, and special typewriters. The statement stressed the right of persons with disabilities to live in dignity as stipulated by the UN General Assembly. Head of the Arab Group for Development, Mohamed Yahya Shamya, appealed to the world’s free people to rally around such an under-privileged category of people and step up pressure on the Israeli occupation authorities to unshackle the disabled detainees. Israeli security forces arrested a Palestinian student, from Beit Lahia town in northern Gaza, at Lod airport on his return from treatment in Turkey on Tuesday. Ghassan Maher, 22, was on his way back to Gaza along with his mother when he was detained, his father said, adding that the Israeli authorities released his mother and detained him. He said that Ghassan was in Turkey for treatment of abdominal injuries suffered in the blast of an Israeli missile fired during the last Israeli war on Gaza Strip. The father pointed out that his son was a university student and had only one last course to attend in the Law College before his graduation. 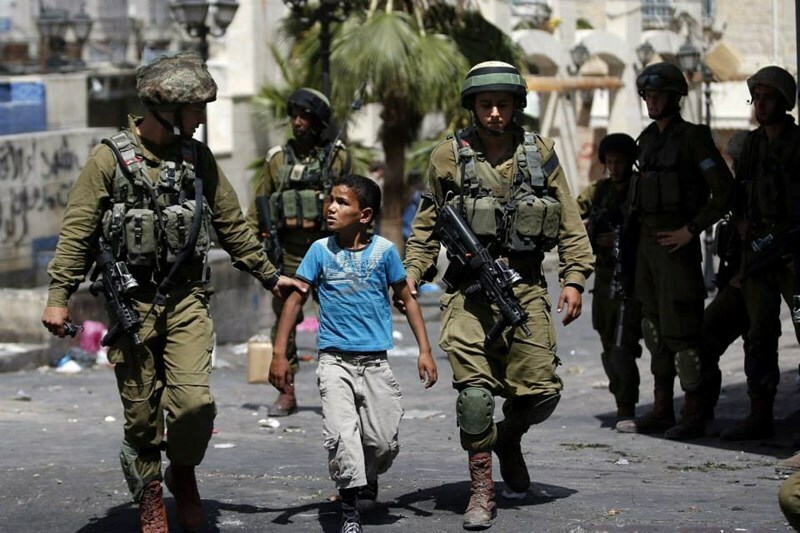 The Israeli occupation forces (IOF) on Tuesday evening kidnapped a Palestinian child in the wave of clashes that rocked Jerusalem’s Jabal al-Mukabir. A PIC journalist quoted local sources as reporting that the clashes broke out in Jabal al-Mukabir after the IOF showered the natives with randomly-shot spates of rubber bullets and tear gas canisters. Scores of Palestinian civilians sustained gas injuries after the invading IOF troops targeted the mourning tents of the two Palestinian youths, Udai and Ghassan, shot dead by the IOF a couple of weeks earlier, with heavy barrages of tear gas. Sources based in Occupied Jerusalem said special Israeli units nabbed the 12-year-old child Mohamad Abdul Salem Abdah while he was standing in front of his family home and heavily beat him up moments before they dragged him to a nearby detention center. Tension has been running high in Occupied Jerusalem after the Israeli occupation authorities rejected all appeals to return back the bodies of Udai and Ghassan Abu al-Jamal. The IOF soldiers have come down heavily on the natives and sealed off all entrances to the neighborhood with cement roadblocks and flying checkpoints. Another round of violent clashes with the IOF has reportedly burst out in Ein Al-Louza neighborhood in Silwan. In a related development, the IOF threatened to demolish three Palestinian homes in Yatta, in the southern West Bank city of al-Khalil, under pretext of unlicensed construction, coordinator of the anti-settlement committee, Rateb al-Jabour, reported. He further voiced concerns over Israeli intents to demolish the newly founded al-Majaz school after the IOF stormed the quarter and took multi-dimensional snapshots of the institution. Along the same line, a gang of the Israeli Hafat Maoun settlers on Tuesday attempted to raid Palestinian homes in al-Tuwani hamlet, east of Yatta. Al-Jabour said such ongoing assaults are carried out under the back-up and in the presence of the Israeli occupation soldiers as part of a pre-planned scheme aimed at forcing Palestinians out of their native lands and speeding up the pace of Israeli illegal settlement building. The Israeli police summoned Monday a Jerusalemite woman for investigation under the pretext of inciting against the occupation, Jerusalemite sources said. Wadi al-Hilweh Information Center reported that Israeli police summoned Huda Abu Jamal for investigation on charges of incitement against occupation following the killing of her two relatives who attacked the Jewish synagogue two weeks ago. Huda was released a few hours later on bail estimated at 3,000 shekels. Meanwhile, Israeli occupation forces (IOF) stormed late Monday al-Khuder town, to the south of Bethlehem, and summoned a young man for investigation. Local sources said that three Israeli military vehicles broke into the town and carried out searches for wanted persons. One citizen was summoned during the raid. 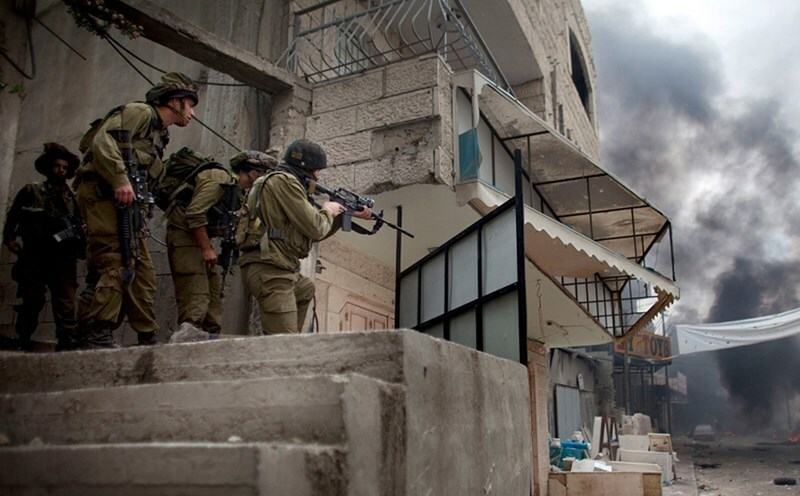 In Nablus, IOF soldiers stormed Hawara town, south of the city, and carried out raids and searches in several homes. Large numbers of Israeli forces stormed the town and started firing tear gas and sound bombs in its various neighborhoods, local sources said. Several homes were stormed and searched during the raid, while others were turned into military observation posts. The Israeli occupation forces (IOF) have carried out overnight and till dawn today a large-scale raid and arrest campaign throughout the West Bank and occupied Jerusalem. 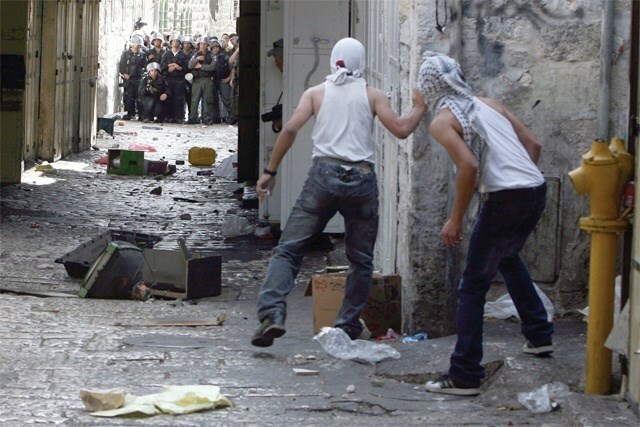 21 arrests were reported during the campaign including seven Jerusalemites from Isswaiya, Silwan and Jabal Mukaber towns. 14 Palestinians were nabbed throughout the West Bank for being allegedly wanted for the Israeli Intelligence Services, Israeli media sources said. 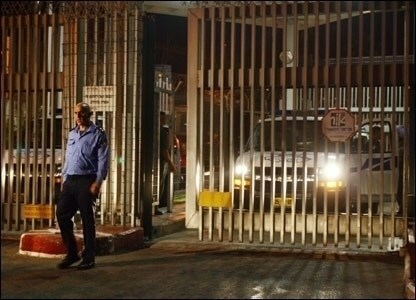 Ten citizens were detained in al-Khalil and Ramallah, while three others were arrested in Bethlehem. 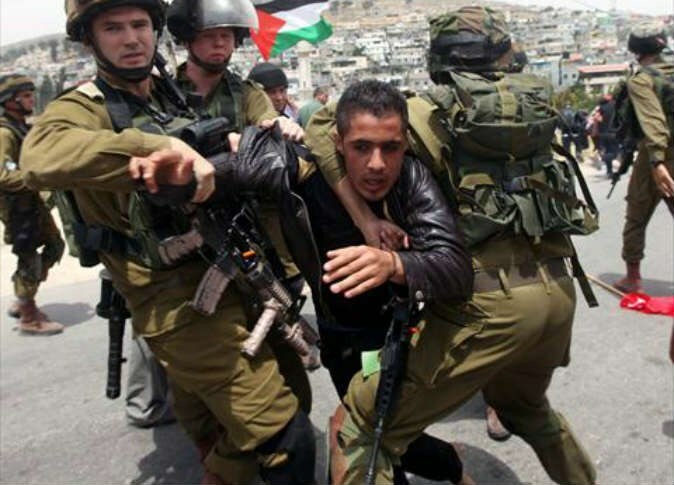 One arrest was reported in Nablus. All detainees were taken to unknown destinations amid intensive presence of Israeli forces throughout the West Bank. Several homes were brutally stormed and searched including a home belonging to a PA police officer. Along the same line, violent clashes broke out Tuesday morning between dozens of Palestinians and Israeli forces in Yabad town in Jenin after the later brutally attacked the shopkeepers in the town's center. More than seven Israeli military vehicles stormed the town and deployed throughout its neighborhoods in absolute provocation to the local citizens who started throwing stones and empty bottles at the IOF soldiers. More than five youths suffered breathing problems due to the heavy tear gas bombs fired during the clashes, while others were severely beaten and attacked. Local sources pointed out that Israeli forces erected a military checkpoint at the entrance to the town preventing people’s movement. 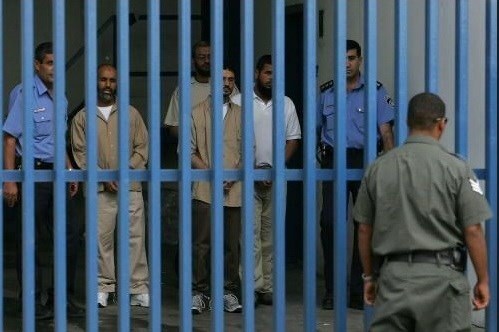 Hundreds of Palestinian prisoners gave the Israeli Prison Service (IPS) a few days to meet their humanitarian demands before declaring a set of protest steps, the Palestinian Prisoners Society (PPS) revealed. In a press statement issued Tuesday, the PPS said that the prisoners today went on a single day hunger strike as a prelude to escalate their protest steps against Israeli collective punishment measures that have been in force since June. The prisoners gave the IPS ten days to meet their demands; otherwise, they will escalate their protest steps, the statement confirmed. The PPS lawyer said that the prisoners’ protest steps aim at ending all punitive measures taken before June 2014 and improving their treatment. Prisoners’ specific demands include restoring the situation to what it was prior to 15 June 2014, canceling all denials of family visits, restoring the removed television channels, and canceling all prohibitions on canteen deposits. 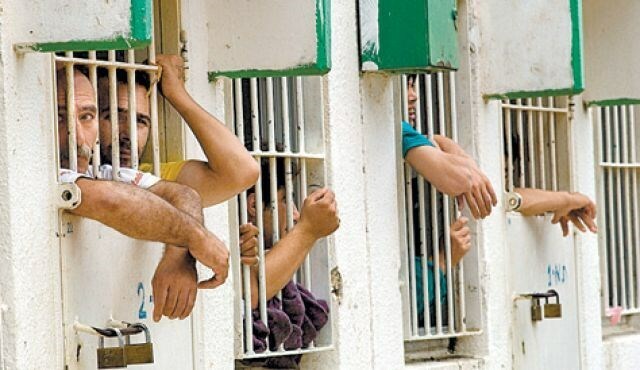 The prisoners also demand an end to all of the recent punitive practices, including lengthy delays between family visits, prohibitions on assembly and movement within sections, the escalation of isolation and solitary confinement, frequent transfers by “Bosta” and address all matters relating to this issue, which inflicts significant suffering on prisoners while being transferred between prisons or taken to court. The prisoners also called for improving the treatment of sick prisoners and providing them with their basic human needs including blankets and winter clothing. In a related context, the PPS pointed out Monday that Palestinian prisoners held in Negev prison suffer acute lack of blankets and winter clothing due to the IPS punitive policy. High numbers of those prisoners suffer from chronic diseases and need necessary medications. However, they face inhuman treatment and frequent night raids, the PPS said. Israeli soldiers kidnapped, on Tuesday at dawn, three Palestinians in Wad Fukin village, west of the West Bank city of Bethlehem, and searched a number of homes. Soldiers also invaded Teqoua’ village. Local sources said the soldiers broke into and searched several homes before kidnapping member of the Wadi Fukin Village Council Mazin Na’im Manasra, 34, along with Malek Wael Manasra, 20, and Mohannad Yousef al-Hroub, 17 years of age. In addition, soldiers invaded Teqoua’ village, east of Bethlehem, broke into the home of resident Jom’a Abdul-Khalil, and took pictures of his property, and his son Mohammad. On Monday evening, the army said Palestinians hurled three Molotov cocktails, and stones, at settlers’ vehicles driving near the Beitar Illit illegal settlement, west of Bethlehem. The army said the attacks took place on the bypass settlement road near Husan town; no injuries were reported. Also on Monday evening, soldiers broke into a bakery in the al-Khader town, south of Bethlehem, and interrogated several Palestinians while inspecting their ID cards. The soldiers also inspected surveillance cameras and tapes in the bakery, but not confiscate them. The Israeli occupation forces (IOF) on Monday afternoon rounded up a number of Palestinian workers and civilians in a round of assaults launched across the West Bank and Occupied Jerusalem. By-standers at the scene said the IOF targeted Palestinian workers with heavy barrages of gunfire randomly unleashed near the Jabara military checkpoint, south of Tulkarem. The attack culminated in the arrest of seven Palestinian workers, all were taken to an unknown location. Local sources said the targeted workers were captured while they were striving to make their way into 1948 Occupied Palestine in search of job opportunities. The IOF summoned military reinforcement and sealed off the area with makeshift roadblocks. In a related development, the IOF rounded up a 22-year-old Palestinian young man at a flying checkpoint randomly pitched at the main entrance to Sa’ir twon, north of al-Khalil city. The IOF reportedly showered the Aroub refugee camp, to the north of al-Khalil city, with waves of tear gas canisters and sound bombs, sources based at the camp reported. A state of panic prevailed among children and women at the camp following a round of combing operations launched by the IOF troops. Meanwhile Jerusalemite sources said the Israeli Nahshon infantry unit kidnapped three relatives of the Palestinian prisoner Omar Abassi during a hearing at an Israeli occupation court. Along the same line, a Palestinian taxi driver was rushed to hospital to be urgently treated for wounds sustained in a gas attack executed by an Israeli fanatic settler in King George Street, in Occupied Jerusalem. Palestinian prisoners Naji Akram and Adnan Fahad have initiated an open-ended hunger strike three days ago in protest at solitary lock-down and the humiliating search procedures of their families during prison visits. Lawyer of the prisoner society quoted prisoner Ahmad Azat, following a visit to the Israeli jail Eshel, as reporting that he lost sight in one of his eyes due to deliberate medical negligence and the authorities’ dragging of their feet vis-à-vis his appeals. The Israeli prison service (IPS) denied the inmate the right to undergo an urgent surgery and to carry out the needed medical check-ups, the lawyer further reported as he reiterated the captive’s concerns to be eventually hit by a cortical sight-loss. 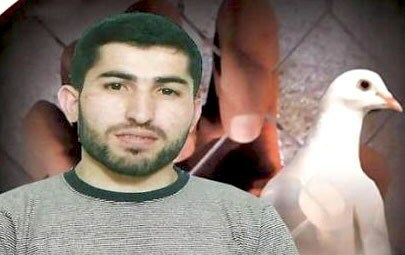 Azat is serving a 16-year-prison-term in Israeli occupation jails. Human rights groups further raised alarm bells over the health of 59-year-old Palestinian prisoner Taysir Samoudi, who is serving a 23-year-sentence and diagnosed with cardio-vascular and pulmonary diseases along with vision disorders and monoparesis due to a stroke he caught in 2008. Prisoner Moamar Ghawadra declared a hunger strike after the IPS recently transferred him to a solitary cell and nabbed his wife Nihal during a prison-visit. The Palestinian Prisoner Society also sounded distress signals over the exacerbated health status of life-sentenced prisoner Sa’d Al-Bana, 34, after he had undergone an emergency surgery to remove a bladder cancer. In a related development, the Salem military court sentenced detainee Mos’ab Abdul Sami’ Dawabsha, from Nablus, to four years in prison and a 2000-shekel-fine on charges of hurling stones at settlers’ vehicles, the prisoner’s father reported. The father spoke out against such an arbitrary and gruff verdict against his son, dubbing the sentence “a bolt from the blue” to all the family members. Mos’ab, along with nine other youngsters, was kidnapped from his own family home on February 4 and is currently locked-up at the Negev desert jail. Israeli occupation forces (IOF) broke into the family home of Amal Takatka, who was killed by IOF gunfire after claiming she stabbed and injured one of them on Monday, and searched it. Local sources told the PIC reporter that big numbers of IOF soldiers raided Amal’s home in Beit Fujar town and arrested her father after the search. Violent confrontations were reported between the invading Israeli troops and inhabitants of the town. Eyewitnesses said that IOF soldiers opened live fire at the 22-year-old young women seriously wounding her. They said that Amal was left to bleed for hours before taking her in an Israeli ambulance to an Israeli hospital where she was proclaimed dead. 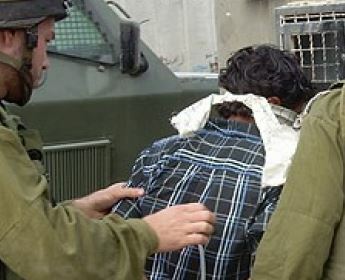 The Israeli Occupation Forces (IOF) arrested four Palestinians on Monday throughout the West Bank. Local sources told the PIC reporter that IOF soldiers carried out an arrest campaign in al-Khalil, Ram, Silwad, Ramallah, and Nablus. Four arrests were reported during the campaign. Meanwhile, Israeli forces nabbed late Sunday the ex-detainee Kassem Abu Hassin near the Ibrahimi mosque in al-Khalil a few weeks after his release from Israeli jails. The ex-detainee has served several months in administrative detention after being nabbed in a large-scale arrest campaign carried out following the kidnapping of three Israeli settlers in June. Kassem, who was arrested more than once, was detained at the entrance of the Ibrahimi mosque while on his way to perform Isha prayers, family sources said, pointing out that he was taken to an unknown destination. Also in al-Khalil, IOF soldiers arrested the university student Imad Eddin Asafrah at a makeshift checkpoint while on his way home. Israeli forces have escalated recently arrests against Palestinian university students. Dozens of them are currently held behind Israeli bars. In Jenin, two Palestinian citizens were arrested at Dotan checkpoint near Yabad town, while several others were brutally attacked and assaulted. The PIC reporter quoted local sources as saying that Israeli forces deliberately carried out provocative practices for long hours at the checkpoint. Three citizens were detained at the checkpoint for a few hours before being released. A number of Palestinian young men suffered injuries on Sunday evening during violent clashes with the Israeli occupation forces (IOF) in the district of Issawiya, east of occupied Jerusalem. Local sources said that the clashes started after Israeli troops stormed the district, affirming that about nine young men suffered rubber bullet injuries and many others breathing difficulties after inhaling tear gas. The confrontations became more heated when the invading troops detained a seven-year-old child. Later, the police released the child and the troops found themselves forced to withdraw from the area of events, but they were still encircling the district. Jerusalem has been witnessing for months escalating tension and Palestinian popular outrage, mainly fueled by Israel's illegal measures at the Aqsa Mosque. In another context, nine Palestinians were either killed in November by Israeli soldiers or died of severe wounds sustained during the last war on Gaza, according to a recent report by Ahrar center for prisoner studies and human rights. 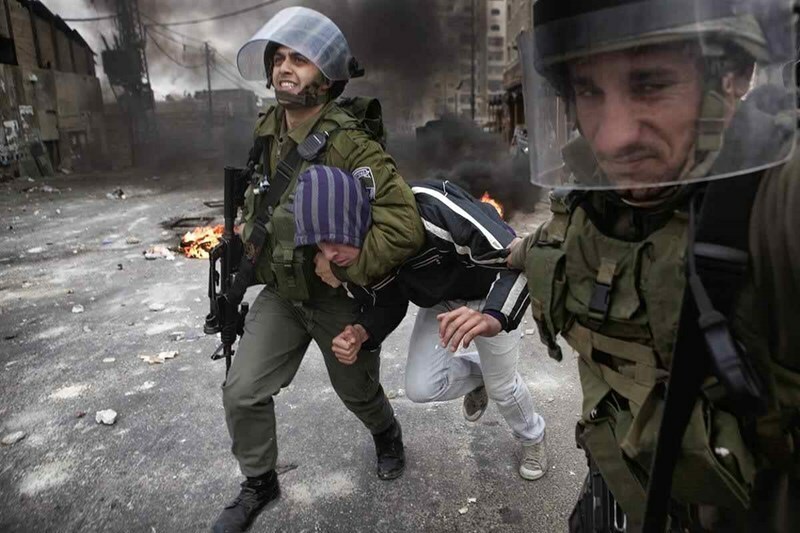 The report added that during the last month, the Israeli security and military forces kidnapped or detained 650 Palestinians, 30 of them from occupied Jerusalem and the others from different West Bank areas. Among the detainees, there are 17 women, and 42 children and minors under age 18. The Red Cross informed the family of a 17-year-old Palestinian minor that their son is locked up at an Israeli occupation jail in 1948 Occupied Palestine. The family said they have been updated on their son’s arrest in a telephone call from the Red Cross. Uncle of the young captive said his nephew, Jamal Mosleh, has been missing for several days and was kidnapped by the Israeli occupation forces while trying to cross Gaza's security fence into 1948 Occupied Palestine in search of a job. By-standers at the scene said the captive was among a group of Palestinian refugees who were targeted by the heavy barrages of gunfire randomly discharged by the Israeli occupation soldiers east of al-Maghazi refugee camp. Jamal has been jobless for sometime due to the lack of employment opportunities and the tough siege enforced by the Israeli occupation authorities on Gaza Strip. Jamal’s relative spoke out against the dire economic conditions endured by the captive’s 10 family members, all crammed in a home with an overall area of no more than 60 square meters. At least 14 Palestinians were abducted by the Israeli occupation forces near the border fence separating Gaza and the Green Line, Human rights data documented. 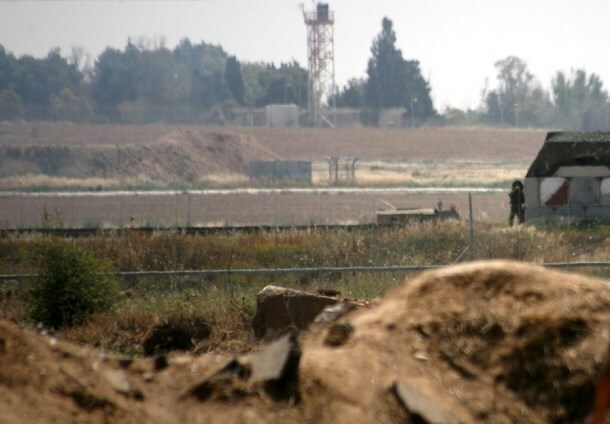 Gazans’ attempts to cross the border fence emanate from an urgent need to seek job opportunities somewhere outside of the enclave, blockaded by the Israeli occupation for eight uninterrupted years. Today official reports indicate that 80% of Gaza’s population is totally dependent on UNRWA's relief aid.